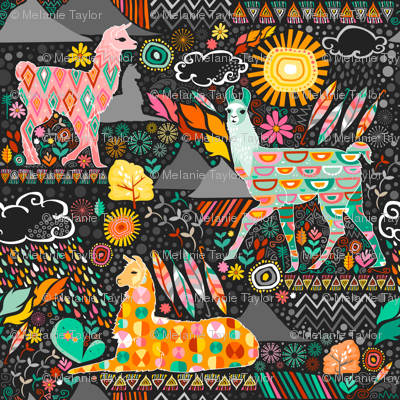 Colorful patterned llamas on a collage of mountains, flowers, rain clouds and other fun designs - the Large version! 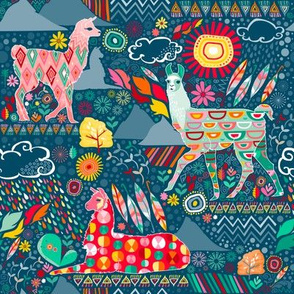 These lovely llamas and the design elements surrounding them were inspired by the art and landscapes of Peru. 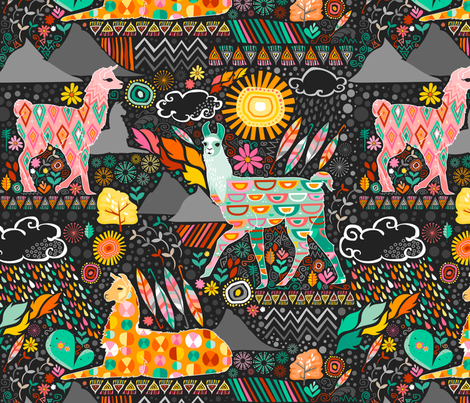 This design won 3rd place in Spoonflower's "Llamas" contest! If you're looking to purchase this in another size or color combination, please feel free to contact me here at Spoonflower or email me at wrenblythe@gmail.com - I'd love to help! All of my designs are (C) Copyright Melanie Taylor... feel free to contact me if you are interested in licensing my designs. 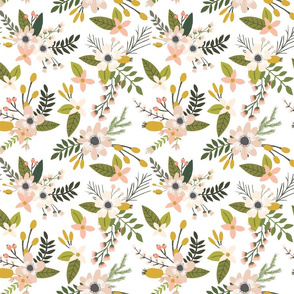 maxsaunt says: I made a lampshade out of this and it sold as soon as I listed it. 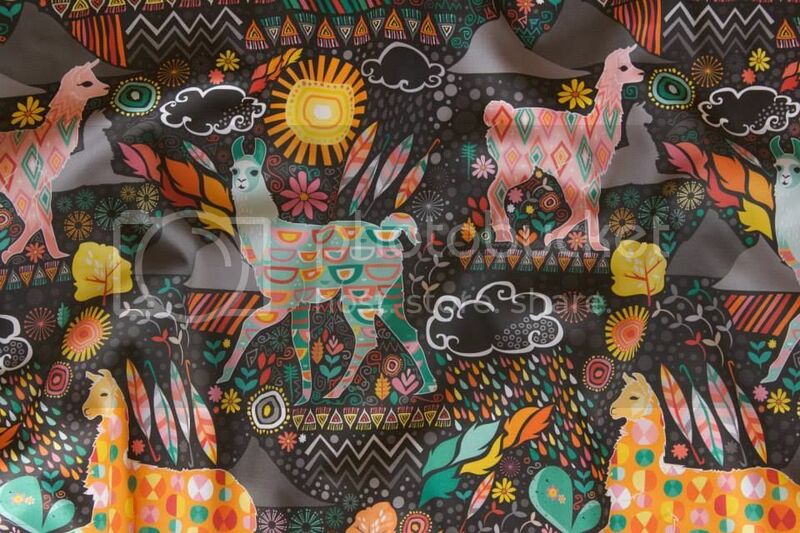 I have more customers waiting for the fabric to arrive so I can make more too. Great print! 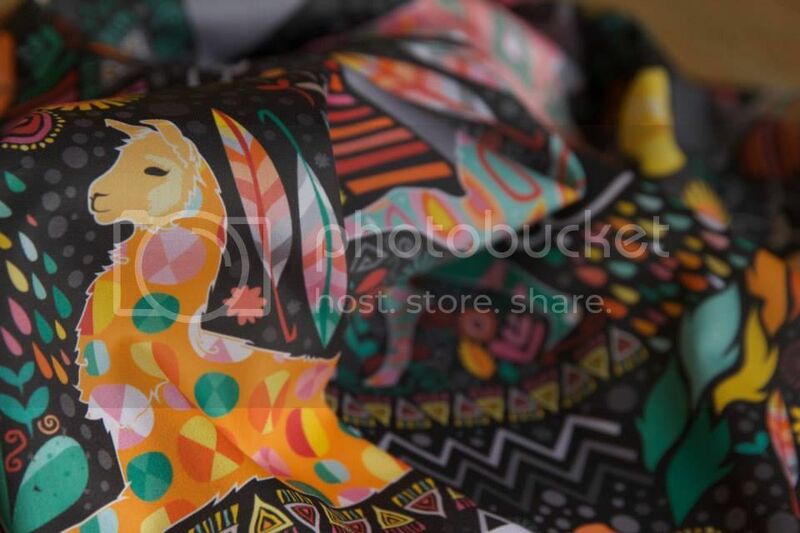 I love the black background and would like to see more prints with the dark background. They are so vibrant. 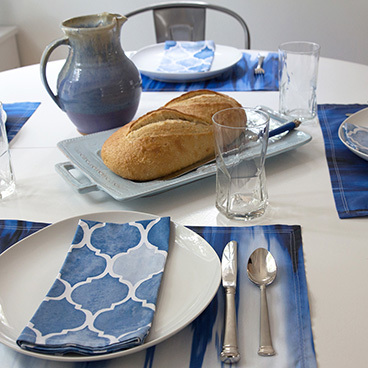 It also looks even more vibrant on the linen canvas option. 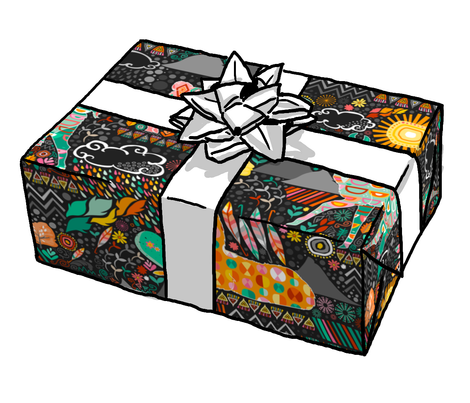 cjldesigns says: Congratulations on third place! A very attractive design! 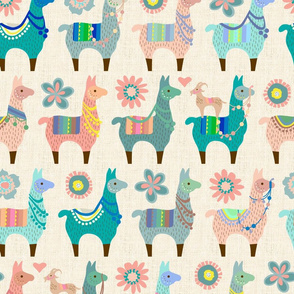 robinpickens says: Beautiful patterns and colors on your wonderful llama design! Congratulations on third place! studio_amelie says: Congratulations, Melanie, on top 3! I love the colours! taramcgowan says: Congratulations! Your design is spectacular! 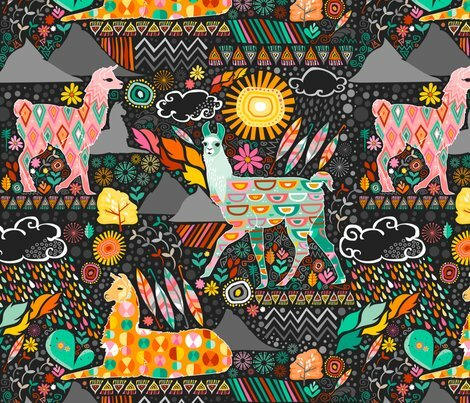 amy_g says: Melanie, congrats on your top-ten placement for this colorful and oh-so-beautiful design! Well done! vannina says: Congrats! 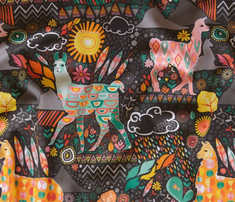 So happy to see this fabulous design in the top ten! seesawboomerang says: Congratulations on your top ten win! Love all the details! ottomanbrim says: Congratulations! 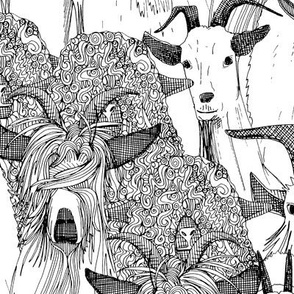 Such great patterns! graceful says: Wow! Stunning!! Vibrant! 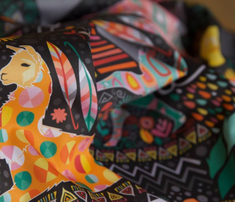 heleen_vd_thillart says: Such a vibrant design, great! creativetaylor says: Wow, thank you for the wonderful comments - I truly appreciate it!! 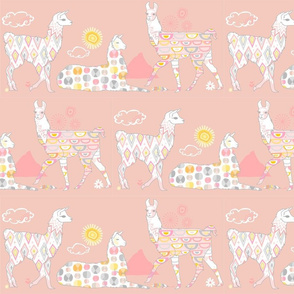 orangefancy says: Love love love your pattern - good luck in the contest! amel24 says: So very fab! 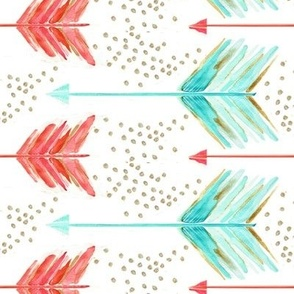 vannina says: Amazing design! LOVE!!! dearchickie says: I love the colors and how all the elements fit together. Great work. bermudezbahama says: Beautiful unique work! kimruss@thatcatart says: Your work and creativity really shines here. A top design in all ways! 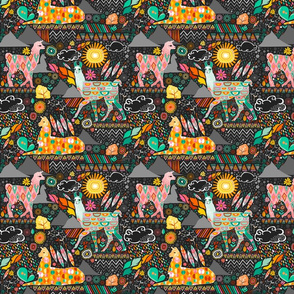 robyriker says: Wow, what a fun, vibrant pattern! Love it!